Claustrophobia, the fear of tight or confined spaces, is a fairly common source of anxiety. It's a phobia that doesn't discriminate between famous people and average joes. In fact, a number of notable actors, musicians and directors are claustrophobic. Some celebrities scared of small spaces have had the phobia their whole lives, while other famous people who are claustrophobic developed the fear later in life. Who appears on this list of celebrities who are claustrophobic? Paris Hilton numbers among other recognizable faces. The heiress and reality TV star struggled with claustrophobia when she was serving jail time. "In the beginning it was really hard, but I think I can adapt to anything," she said. "I’m claustrophobic and my cell is really small. It’s hard – there’s nothing to do but basically sit in a room with a bunk bed and a toilet and a desk." Ryan Reynolds' claustrophobia helped him tap into a real sense of dread while filming the 2010 movie Buried. "Claustrophobia is a primal fear that exists within everybody. This is probably most human being’s worst nightmare come true, to be buried alive. I couldn’t help but feel that when we were shooting, we were using a coffin," he said. Other famous people who are claustrophobic include Uma Thurman, Dave Grohl, and Woody Allen. Are you afraid of small spaces? You're in some star-studded company. Read on to discover what other celebrities share your anxieties. 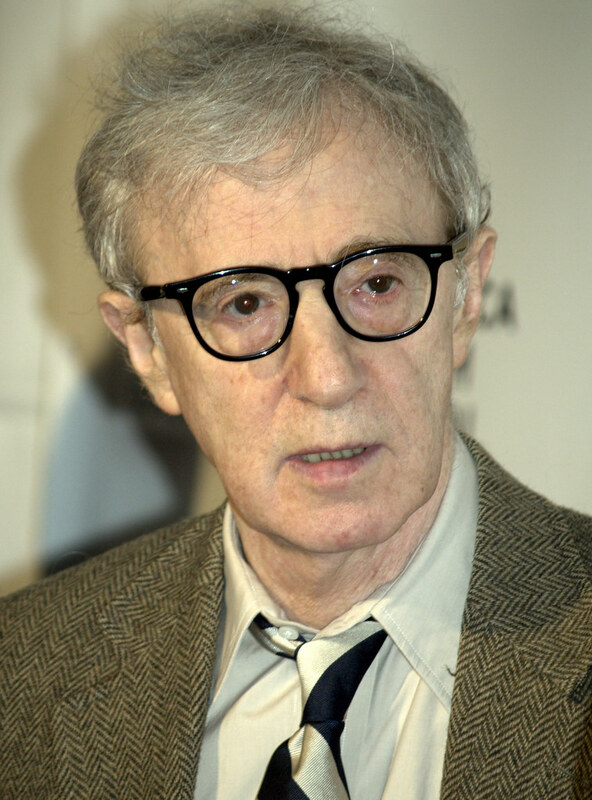 Woody Allen avoids going through tunnels because of his claustrophobia. "I'll always go the long way over the George Washington Bridge, even if I'm going to Jersey City," he said. "Instead of going straight that way which is just 20 minutes I go all the way up, it takes me 40 minutes to go." Uma Thurman pushed her claustrophobia to the limits when filming Kill Bill. "Well, I am claustrophobic but you don't really have to be claustrophobic to feel being buried alive," she said of one iconic scene. Dave Grohl is so claustrophobic that the fear creeps into his dreams. "I have crazy claustrophobic dreams, weird elevator dreams where the elevator closes in and all of a sudden I am lying down – oh my God, it's a casket. Just freaky stuff like that," he said. Paris Hilton struggled with claustrophobia when she was serving jail time. "In the beginning it was really hard, but I think I can adapt to anything. I’m claustrophobic and my cell is really small. It’s hard – there’s nothing to do but basically sit in a room with a bunk bed and a toilet and a desk," she said.